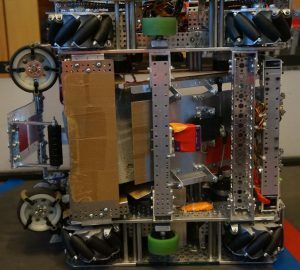 We took up the Robot in 30 Hours challenge right after 2018-19 season game was revealed at the FTC kickoff on Sept. 8, 2018. This season’s game is called Rover Ruckus. 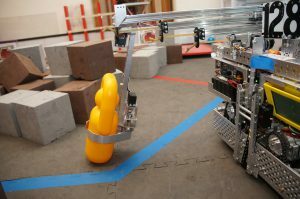 In this challenge, our robot has to explore the uncharted planets and collect silver and gold minerals at the core. The individual tasks include Landing, Sampling, Claiming Zones, Collecting and Depositing minerals, Latching and Parking in designated spaces on the field. 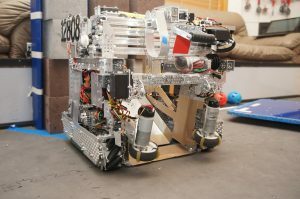 Ri30H was a challenge in which we designed, built, and programmed a robot for Rover Ruckus, all in a span of 30 Hours. 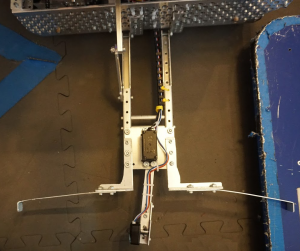 After studying the bot and learning from it’s weaknesses, we are ready to fine tune our designs and come out even stronger! Score jewel in <1 sec! Entire field traversal in less than 3 seconds! 2nd overall coming into the Houston Championship! 1st in Oregon, 4th coming into the West Super-Regional!